Cannabidiol, known also as CBD, is taking the world of health by storm. Called “nature’s miracle drug,” CBD is produced from cannabis plants, but does not contain any of the psychoactive elements that other common cannabis products do. 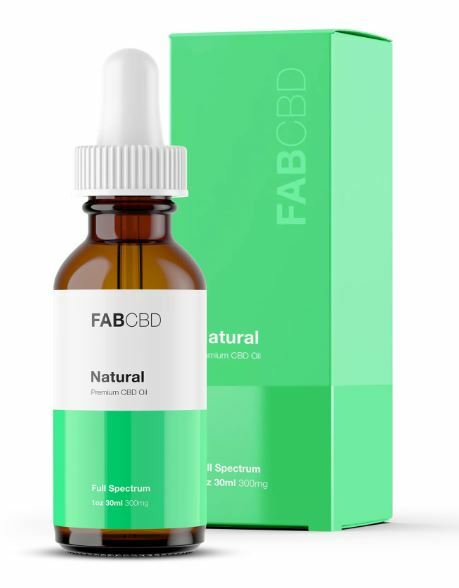 Though researchers have only begun to discover all that CBD can do for the body, the little we know is pretty impressive. Below are 20 exciting ways in which CBD oil is being used to improve health. According to several studies, cannabinoids act as a neuromodulator for the neurons responsible for the pain sensation. Furthermore, they stimulate the same area as do opioids. Thus, CBD oil, which is obtained from hemp and rich in cannabinoids, is extremely effective as a natural pain killer. A number of studies have proven that CBD, which is obtained from hemp and contains little to no THC, can be used to alleviate the urge to smoke cigarettes. In one such study, 12 smokers were given an inhaler of CBD, while another 12 were given a placebo. After one week of being told to take a puff of their inhaler every time they felt the urge to smoke, those inhaling CBD saw 40 percent drop in their cigarette use. CBD oil is well known for its anti-anxiety and anti-inflammatory effects. The fact that CBD oil is able to calm and relax its user, combined with the additional fact that it is a cannabis product without psychotic effects, has gone a long way in proving that it is an effective treatment for PTSD patients. For many of the same reasons that it is an effective tool for treating post-traumatic stress disorder, CBD oil has also proven itself effective for those battling schizophrenia. In fact, in 2012 a group of German researchers conducted a study in which the common antipsychotic Amisulpride was compared to CBD. The study included 42 schizophrenia patients, and ultimately found that while both treatments were effective, CBD had far fewer short-term side effects. Myriad studies have been conducted that suggest that cannabidiol includes certain chemicals that have an anti-tumor effect. More specifically, CBD decreases a cancer cell’s ability to produce energy, thereby helping lymphokine-activated killer cells to destroy the cancer cells more easily. In one study related to cervical cancer, it was found that CBD oil successfully stopped cancerous cells from growing and spreading, while other studies have found the same to be true with leukemia, colon cancer, prostate cancer, and breast cancer. Perhaps most well-known due to the many national news stories surrounding it is cannabidiol’s effectiveness in treating treatment-resistant epilepsy. In one survey taken of parents with epileptic children, it was reported that 84% of those children experienced fewer seizures while they were consistently taking CBD. After three months on CBD oil, 40% of children with treatment-resistant epilepsy had 50% fewer seizures. Many of these children also experienced things like improved sleep, better mood, and more alertness. Alzheimer’s disease, Parkinson’s disease, gastric ulcers, and Crohn’s disease are just a few disorders which occur due to oxidative stress and/or neurodegradation. Thanks to its many anti-oxidant effects, CBD oil prevents oxidative stress to act as a natural neuroprotective agent. The same anti-inflammatory benefits previously mentioned can also provide relief of pain to those with rheumatoid arthritis. In a study on animal models, consistent use of CBD not only alleviated pain, but also decreased the progression of joint damage. Those working in the medical industry are excited about CBD’s potential to relieve nausea. When taken in low doses, CBD oil can decrease the nausea that patients often experience after taking toxic drugs. A report by the National Cancer Institute found that low doses of CBD oil can bind to the body’s cannabinoid receptors, thereby increasing appetite. This is especially promising for those with cancer or other types of diseases which destroy any desire to eat. CBD oil is able to delay the destruction of insulin-producing cells in the pancreas and inhibit the production of inflammatory cytokines. Besides this unique ability, a recent study found that diabetic men and women who consistently use marijuana and other cannabis products had 16% lower fasting insulin levels. This study, one of many, suggests that CBD can be used to treat early-stage Type 1 diabetes. A number of recent studies suggest that CBD oil could be beneficial for a range of things related to heart health. For example, CBD reduces both the heart rate and blood pressure during times of stress or anxiety, dilates arteries, reduces damage done by clogged blood vessels, and protects these vessels. While more research needs to be done to see if CBD might prevent the development of various blood vessel and heart disorders, early studies have shown that CBD can be used to influence white blood cell function and the aggregation of platelets. 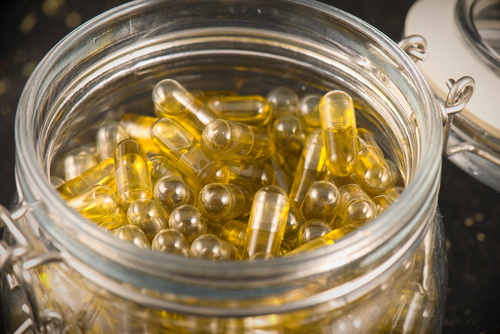 While CBD and THC together are the ideal combination for treating bowel inflammation and its many symptoms, CBD oil on its own can also be beneficial. One study showed that the use of CBD prevented colitis in animal models, while other studies have shown that it is able to normalize gut motility and reduce gut inflammation. Studies are still being done to learn more about CBD’s full effects on bone health, but recent research showed that rodents with broken limbs mended much more quickly when they were treated with CBD. Dyskinesia is a terrible affliction that causes involuntary movements. However, it’s been found that CBD oil, when combined with a TRPV-1 blocker, has been able to alleviate the symptoms of dyskinesia by reducing the production of both inflammatory cell markers and certain key enzymes. In 2013, a study on rats found that CBD was able to block the addictive effects of morphine, opioids, and other highly addictive painkillers. For this reason, a number of states have already implemented a medical marijuana program to help fight the ongoing opioid crisis. These programs have reported a 25% drop in deaths by opioid overdose, and the use of 64% fewer opioid painkillers than those for whom medical marijuana is not available. Those who suffer from insomnia and other sleep disorders may find relief in CBD oil, which can regulate the necessary circadian rhythm and increase the release of dopamine to ensure that sleep comes faster. Though more research needs to be done before anything is proven, CBD oil has become more and more popular for use in treating a number of sexual health concerns, including erectile dysfunction, performance issues, lack of sexual endurance, and even infertility. There may be dozens of antidepressants out there, but it seems CBD oil can be added to the list. A number of recent studies have found that CBD works both quickly and over time, and is a comparable alternative to other common antidepressants. In other words, CBD is used by some as a natural antidepressant. Whether you have acne or just want to increase the health of your skin, a recent study has shown that CBD oil can be beneficial. Cannabidiol’s many anti-inflammatory effects include ceasing the production of sebum and sebocytes, and exerting antiproliferative effects, which together reduce inflammation and encourage healthier skin.